Theresa Januario was married at the age of 15. 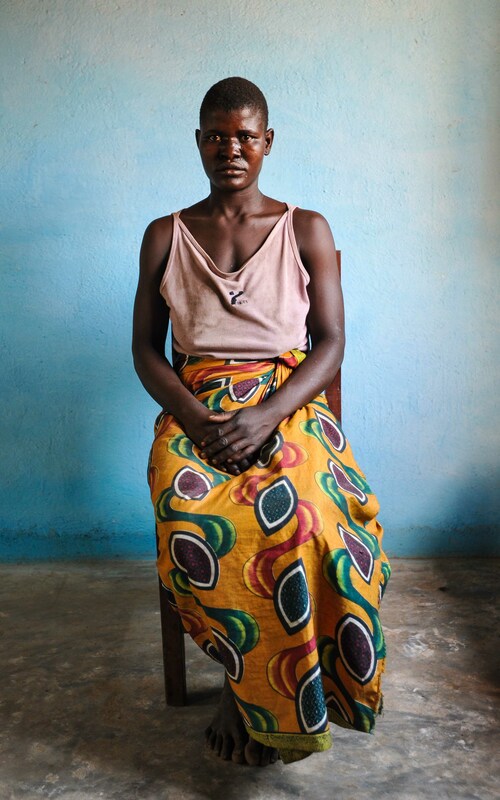 Now 22, she lives with her parents and her two children – daughter Atija, three, and son David, one – in Moma in Nampula Province, on the east coast of Mozambique. She left school shortly after her marriage and her fisherman husband Amiro Age, 25, abandoned her to look for work in the city of Beira in 2015. He has never returned. “My name is Theresa Januario. I got married at 15 because of the poverty. We didn’t have enough food, not even enough clothes. So my only option seemed to be marriage. “My father is a farmer and a fisherman. He used to work on the fields and brought us food. But then the production started to decrease. There was nothing left. “The production started to decrease when I was 15 years old. At that time, before I got married, we managed to get maybe two or three bags of cassava to feed the family. Today, if we get one bag, it’s a good harvest. “My father also managed to fish enough to feed us and also sell some fish. He used to get one or two baskets, but now he just gets enough for one meal. “I remember that in 2008, there was a time where there were floods and a lot of wind. After that, during the season that followed, in 2009, there wasn’t enough rain, it was drought. The production started to fall. 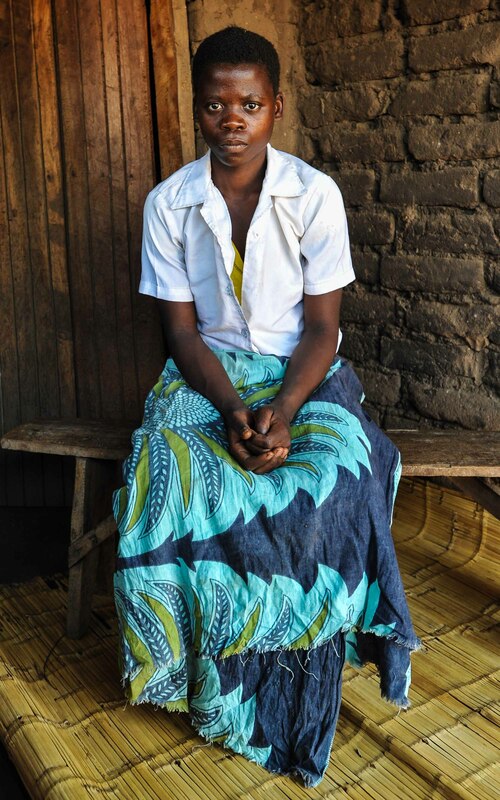 “I got married at 15 because I was seeing that my married friends had enough to eat and had enough clothes. And I was suffering. One day I was eating, one day I wasn’t. So I preferred to find a husband so that I could live a normal life. “We met when I went once to the village where he lives. We met, we discussed it. I told him to come and talk to my father so that he could marry me. 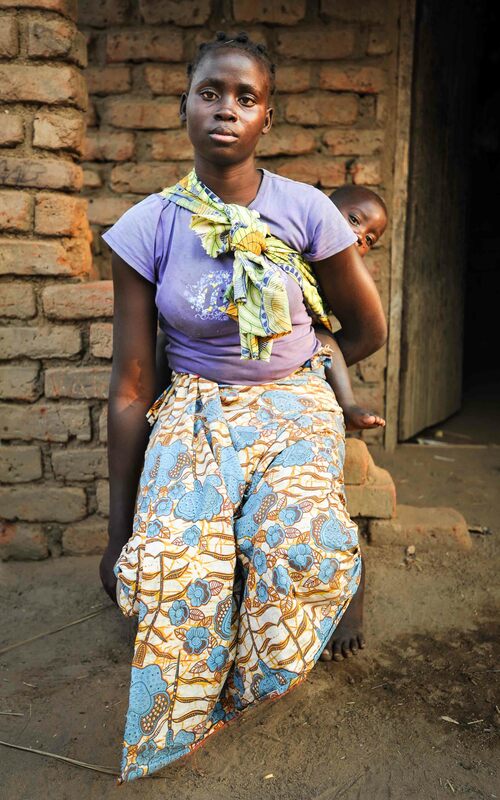 “My father didn’t complain about it, he thought it would be a way to support me, even help me stay in school. “That was the expectation of my father, but after we got married, my husband started to struggle and he couldn’t support my education. “At the time, before the floods, there was water where my father used to fish and the production was okay but after there is more sand than water. So the level of the river decreased. “When I married, I went to live in his mother’s house. It was a normal life. But I couldn’t live in that house without my husband. The last time I saw him was in 2015, when he impregnated me with my last child. Since then, I never saw him again. So I came back here by myself. “We don’t speak because we don’t have mobile phones. But I know that he is in Beira. I came back because his family didn’t care for me. At least here, I am with my family, life is more or less better. “Comparing with the life I had before I got married, now it’s a bit better. Because now I sell some fish at the market and I get some money. “It depends on the daily production. There are days when we just get enough for one meal. Other days, the production is a bit better, so we can get enough for one meal and also sell something at the market. With the cassava production, we get enough for more than a day, we just keep it, dry it so that we can eat the next days. “For a long time, the rains came when we expected them. Now, the weather changes. Sometimes, the rainy season changes. The rain doesn’t come as often as it used to. “If we’d had enough money I would have continued to go to school until the 12th grade and maybe I could become a health professional. “I thought I would get married at 35. I’m not happy. I wasn’t planning on getting married at 16 years old. “It’s my fault that I got married so young. I think it was my destiny, God put that idea of getting married so young in my head. Even if it wasn’t for this climate change, I believe it’s God’s destiny. “I will tell my own daughter not to get married so young, even if she doesn’t have the possibility to continue her studies. Because she will have children, she may be left alone with them, and the situation will get worse. “I will tell my daughter that I regret my decision. I thought that marriage would be a solution, but in the end it got worse. And I will tell her to go to school. That is a way to try to improve to situation. Farmer and fisherman Januario Antonio, 49, lives in Moma in Nampula Province on the east coast of Mozambique. He agreed to the marriage of his daughter Theresa at the age of 16 because crop yields and the fishing catch were falling and he could no longer afford to support her.